Fatoun Ali landed on American soil in 1998 arriving in San Diego married, with no education, and pregnant with a child who later died at 4 months from muscular dystrophy. Even with these challenges, she had a strong desire to create a better life for herself and her family, and devoted her work after the death of her child to caring for immigrant families. Fatoun knew that her path to achieving success would come through education. 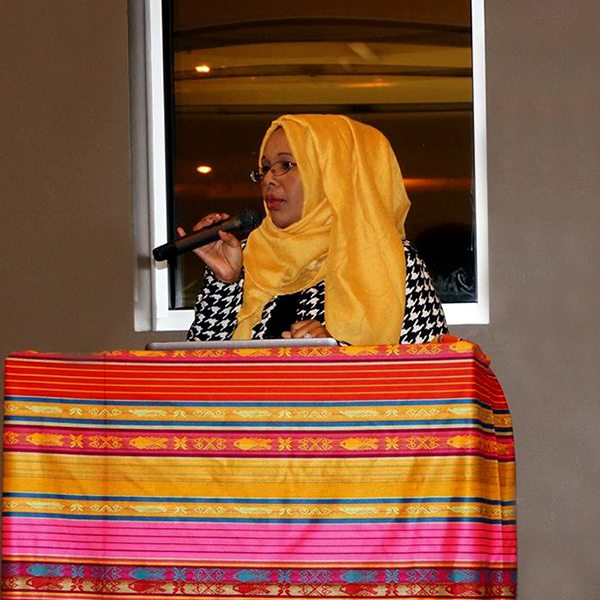 She quickly learned Basic English through an ESL program, which was followed by training for certificates as a medical assistant and as a teacher of self-breast examinations for Somali women. Fatoun briefly worked in a medical clinic before landing a job as a refugee resettlement case worker for the Alliance for African Assistance, where she worked until moving to Minnesota in 2006 with two children. Early during her time in San Diego, Fatoun met and became an “adopted” daughter of a long-time restaurateur and caterer – a Somali/Ethiopian immigrant woman. This developed into a friendship and an informal mentoring program where Fatoun learned the ins and outs of operating a business – the upside and the downside. She learned about nutrition, organic food, and what it takes to be successful in the restaurant and catering businesses - including how to make great food quickly. It is this experience that provides roots for some SOMFAM programs and her newly opened “African Queens Catering” business. In 2009 Fatoun founded what could be considered the nonprofit “parent” to the Somali Youth and Family Development Center (SOMFAM): The Somali Minority Rights and Aid Forum (SOMRAF). However, family obligations and funding challenges moved the agency into the background of Fatoun’s life. All along, Fatoun kept her vision for a nonprofit agency close to her heart, and the agency was rebirthed in 2012 as SOMFAM.